A free to play title that can be accessed in your preferred web browser, New World Empires is a strategy game set in the European colonial era where players control one of Europe's great nations and must compete with rival players to dominate Europe and discover as of yet unknown lands. New World Empires sees players controlling one of the many great nations that Europe had to offer during the turn of the 19th century where new lands were being discovered in an age of sail and exploration and being colonized. The core principles for players are managing their time and resources as they try to expand their own territory into new lands or conquer their rival players' through force as they assemble an army. Players will earn points through the game based on their success and can ultimately win the world. When players start a game for the first time they are assigned to a new world and put in charge of one of the key playable nations, as new players join each of them in turn will take control of one of these nations. Players do have the option of joining games that have already begun if they wish to work alongside allied friends, but without these they are at an immediate disadvantage being days behind those who joined the world from day one. The key objective for players is to try and accrue Victory Points by controlling provinces, done by conquering the town or city settlement that controls a particular province or by founding new colonies in undiscovered lands. 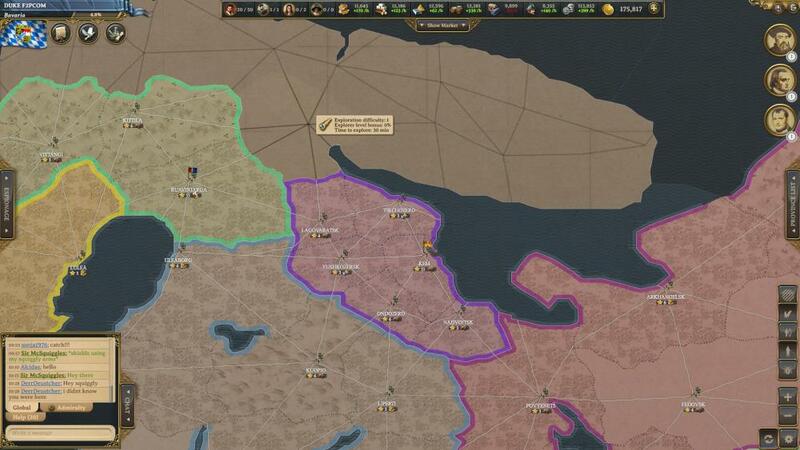 Each settlement is worth a certain number of Victory Points when under a player's control, with some core provinces such as capital cities being worth more, but players can upgrade their provinces to increase their worth in Victory Points. After around sixty real world days the player with the most Victory Points wins the match, with players earning gold premium currency for how well they performed, and the match ends. 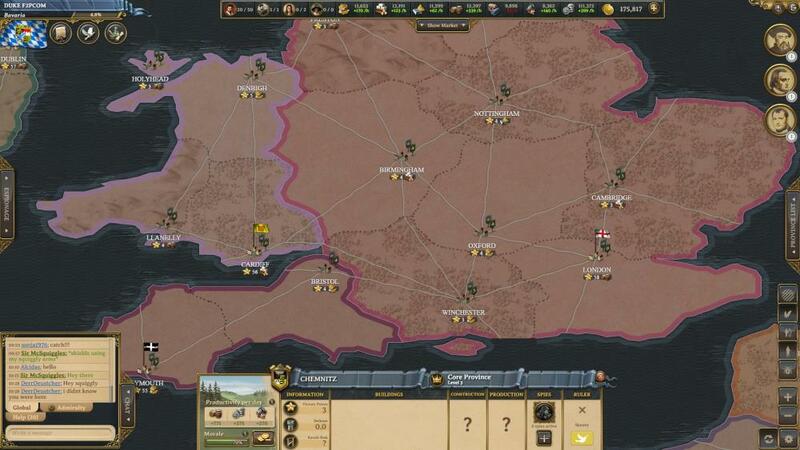 To get ahead players must manage their resources to construct buildings in their provinces and train up units to defend them or expand their own borders. To do either players will also need to unlock various technologies, with over 150 to choose from one of the key features of the technology tree is that techs fall into different tier categories that only become available when a specific number of real world days has passed from the world launching; this ensures players cannot focus solely on making a bee-line to end game techs. 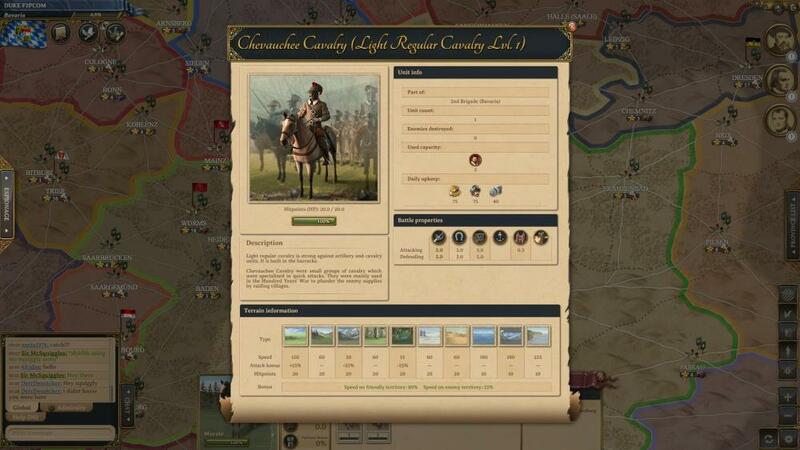 With new buildings players can improve their economy and in turn train new units that they can use against other players, PVP being a key element to the game but diplomacy and player trade also plays a significant role. 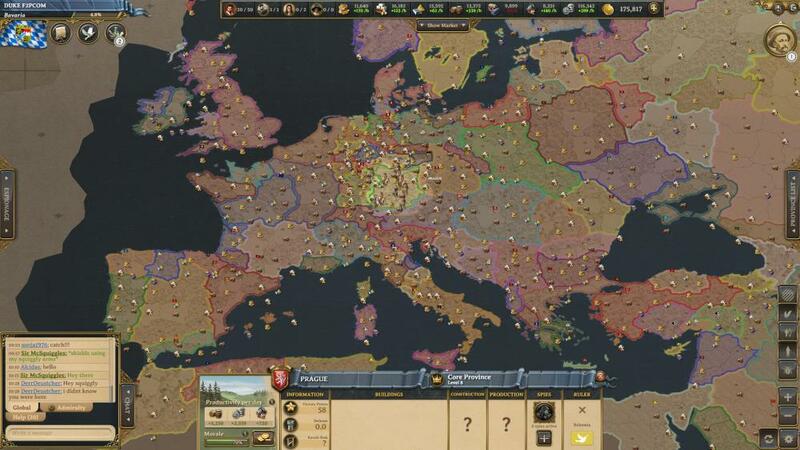 Whilst the majority of provinces in modern day Europe have been discovered and are already known, players can send out explorers to discover the new world and settle it, building ships and sending out colonials to bolster their growing empire and turn there colonies into powerful cities in their own right. The pace of the game is one of the most defining factors, whilst managing armies and resources is important one of the key things players must manage is their own time. Every action takes minutes, hours and even days to complete, and with a finite finish post this means planning ahead is important and working out how best to spend your time, or how long it will take to march your army to a distant province and how quickly you can respond if your enemy then sends their own army to your lands is game changing. The game does continue to play when not logged in, so players are able to build queues for construction, training, troop movement and research and do not have to constantly be online.